The RF-5E Tigereye is a derivative of the single-seat lightweight fighter developed by Northrop. This design was a follow-on of the company's earlier RF-5A developed for export to allied nations. The RF-5E offered improved cameras over the RF-5A plus the performance of the F-5E. The RF-5E was armed with a single 20mm gun (the starboard gun of the F-5E was deleted in this variant) and the capability to carry many of the weapons of the F-5E as well. The RF-5E was exported to Malaysia and Saudi Arabia while upgraded versions would serve in the RoCAF and Republic of Singapore Air Force. 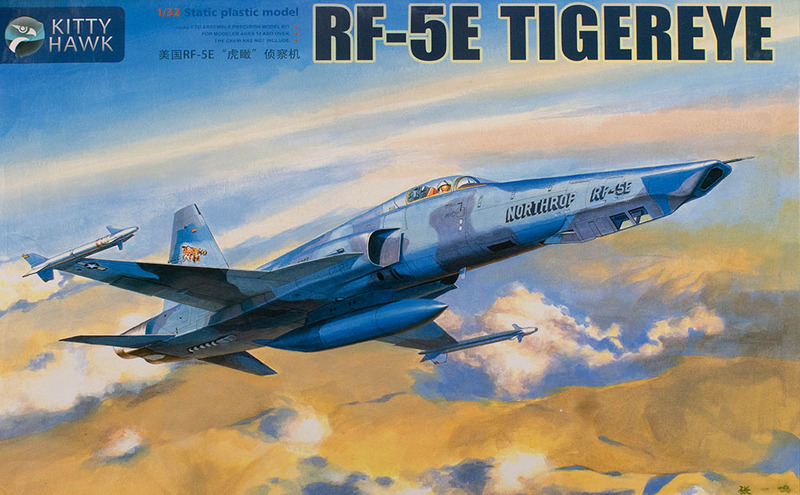 Unless something unexpected happens, this could very well be the best RF-5Ein any scale. That said, there are a number of 'nits' that I want to bring up so you can do your homework for your own build. The instructions are usually one of the weaker features of Kitty Hawk kits and this one is no different. As I mentioned above, they don't tell you to add the pilot restraints to the ejection seat even though they do point out where the other photo-etched parts need to go. 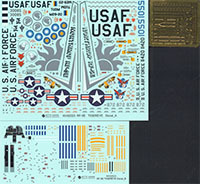 The instructions also have you install or retain antennas and sensors on the airframe though many of the subjects presented in the decals don't have them. You'll need to review photos of the subject you're building to see if those details apply to you. As I said above, most of these are nits which can be addressed with a little modeling skill and some good reference photos. With a subject like the RF-5E which has been around for more almost 50 years, you'll not only want to find specific photos of the tail number you're building, but also of a particular time frame as even some of the RF-5Es were later updated. With all the features and options in this kit, there are many possibilities right out of the box, and just imagine all of the colorful subjects that will come with the aftermarket decals. You can see the F-5E kit built-up here.